The St Andrew's Church Precinct consists of a graveyard (1843), school house (1857), church (1857 and 1962), parish hall (1925), lych gate (post 1926), gate post (1842-50) and vicarage (1928). 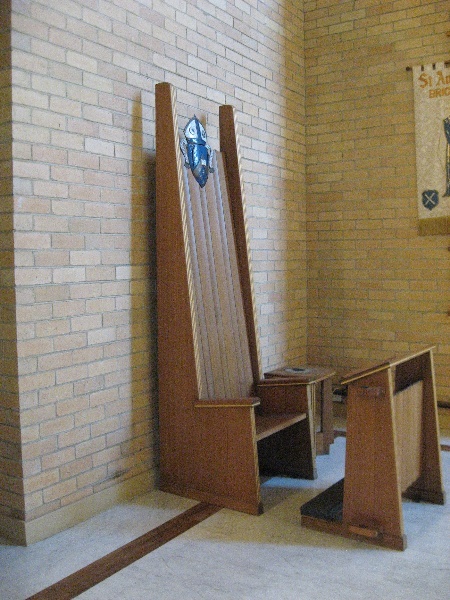 A number of objects are associated with the church including furniture designed for the building. Ten acres of land were set aside as a Church of England Reserve in the Brighton Estate planned by Henry Dendy and J. B. Were in 1841. This site was located in a small township of fashionable crescents, between the outer crescent and desirable allotments which ran to Port Phillip Bay. An Episcopal Church, erected to the south of the site in 1842, was used as a church and school, however the formation of Church Street isolated it from the main site soon after construction. This site was not conveyed to the church in 1843 and subsequent development took place on the remaining land. In 1843 a two acre graveyard, established to the north-east of the first building, was consecrated and the first burial took place the following year, well before the opening of the Brighton General Cemetery in 1855. More than three hundred burials took place, mostly before 1860, and the graves of many district pioneers are located in this graveyard. The last burial took place in 1948, however an adjoining garden of memory, established in the 1950s, remains in use. An ironstone church, designed by architect Charles Laing, was erected to the north-west of this graveyard in 1850. By 1857 the congregation had outgrown this building and parishioner and architect Charles Webb, and his partner Thomas Taylor, were commissioned to design a new bluestone church, school house and vicarage. The 1850 church was demolished and some of the stone used in the construction of the T-shaped school house building. This school continued to operate until 1875 when students were relocated to a new school in Brighton. The school house was then used for Sunday School and other church activities. In the subsequent years Brighton developed as a popular middle class suburb and by 1886 necessary additions were made to the church. Large sandstone transepts and a chancel were added to the existing bluestone church nave by architect Lloyd Tayler. A north wing was also added to the school house, creating a symmetrical H-shaped building. This was either undertaken in 1866 by Charles Webb or in 1886 by Lloyd Tayler. Webb called tenders for additions to the Church of England schools in Brighton that year, and this may have been this addition. Designed in a Gothic Revival style, the symmetrical school house is constructed of random coursed, locally quarried ironstone and is roofed in slate. It has projecting gabled end wings, a central projecting entry porch and render detailing that includes parapets, finials, angle buttresses, window and door surrounds and gable vents. The St Andrew's parish hall, designed by architect Louis Williams, was built to the east of the school house in 1925. The Arts and Crafts influenced building is constructed of clinker brick and the symmetrical front facade contains a broad central gable roof with central jerkinhead bellcote. 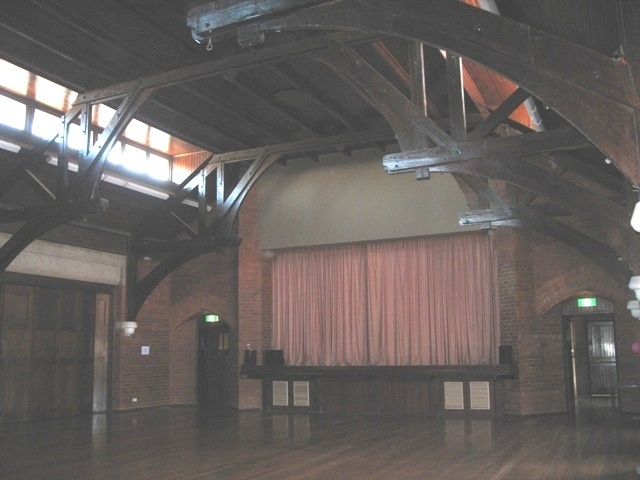 The exposed brick interior of the building contains oversized timber hammer beam trusses and large folding timber doors which line both sides of the central hall. All timber work remains unpainted. At this time Brighton Grammar School, established in 1882, received in trust five acres of the original ten acres of land granted to the Church of England in 1841. A school building designed by architects Hudson and Wardrop, was constructed to the east of the church, and Brighton Grammar moved to the new site in 1927. The school used the 'cow paddock' to the north of the church and graveyard for a sports ground from about 1928. A very close affiliation was then established between St Andrew's church and the school. The original vicarage, located north of the church, was demolished in 1928 and was rebuilt further south on the site of the 1850 church. Detailing would suggest that Hudson and Wardrop may have also designed this new vicarage. A lych gate was erected to the west of the church after the death in 1926 of George Jefferson, a vestryman at St Andrew's. This rustic timber structure, with hipped terracotta tiled roof, shows the influence of the Arts and Crafts movement, and may have been designed by Louis Williams. In 1961 a fire destroyed much of the church at St Andrew's and parishioner, and prolific church architect, Louis Williams was commissioned to design a new church. He incorporated the remaining portion of Webb's bluestone nave as a chapel, and designed a vast building capable of holding a large congregation. 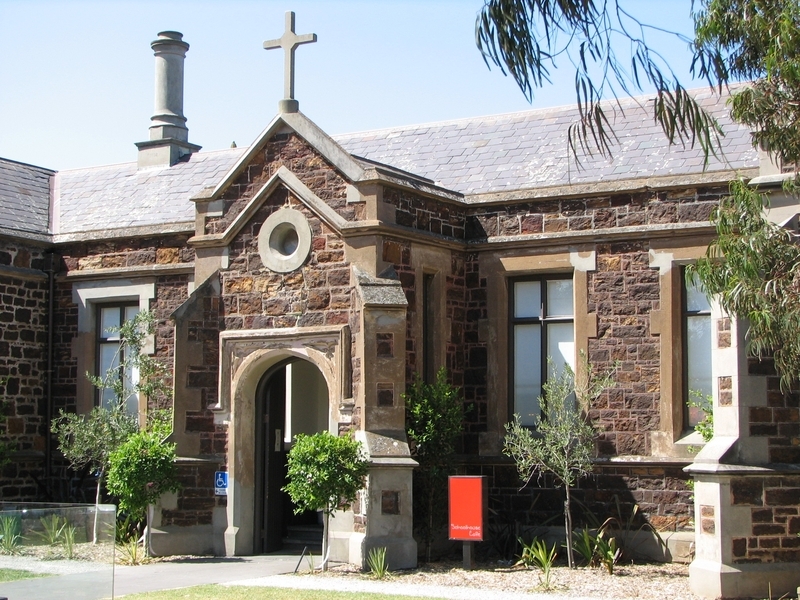 At the time it was anticipated that St Andrew's was to become the cathedral church for the Mornington Peninsula Diocese when the Melbourne Diocese was divided. 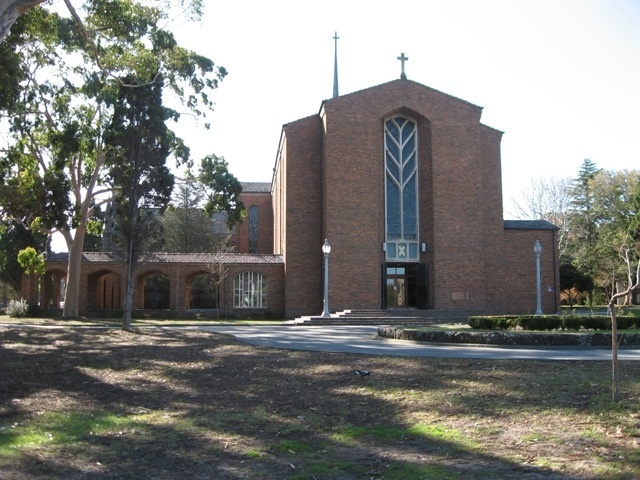 This church building was dedicated in December 1962 in the presence of the Governor of Victoria, Sir Dallas Brooks; the Archbishop of Melbourne, Frank Woods; clergy and two thousand people. Williams' design re-orientated the church by setting a new nave, of some sixty metres in length, at right angles to the surviving portion of the 1857 building. This Early English Gothic section, typical of the work of Charles Webb, was reduced in length and used as a Pioneer Chapel and baptistery, and linked to the narthex of the new building by an arcaded cloister. The symmetrical west facade, with its gable belfry, bracketed string course, triple lancet windows and pinnacled corner buttresses, has therefore been retained. The new church is simple in form with a shallow gable roof, surmounted by a narrow, copper spire, covering a textured red brick building. Pointed arch headed openings are used to convey a Gothic character. The interior employs cream bricks, anodised aluminium acoustic ceiling tiles and blue vinyl flooring (since replaced). It features subdued window glass, banks of singularly placed aluminium uplights either side of the sanctuary, a gallery organ and war memorial surrounds, an echo organ and timber furniture designed by Williams and crafted by the well established Melbourne furniture maker, Fallshaw and Sons. Tasmanian oak, fumed, stained and hand finished, was used for the large array of furniture. Pulpit and lectern panels were created by Reine Slagmolen to designs by William using a blue 'polylite' material and Napier Waller was commissioned to design a mural for the Pioneer Chapel, which replaced the former west window. Many of Louis Williams' ecclesiastical design ideas are apparent at St Andrew's church. His desire for generous planning is manifest throughout the church with well spaced pews, a clear view of the altar, wide aisles, a spacious sanctuary and a choir gallery at the rear with a spacious narthex below. A windowless sanctuary end, lit by concealed side lighting, was also favoured by Williams. Originally intended to contain mosaic work, this recess now features a bronze sculpture of the prodigal son, by Guy Boyd. It was installed in 1987, the new church's twenty fifth anniversary. Other developments on the site include the addition of tennis courts, probably early in the twentieth century, and the construction of two brick houses adjacent to the graveyard and an opportunity shop between the school house and the parish hall in the 1980s. TheSt Andrew's Church of England Precinct, Brighton is of historical, architectural and aesthetic significance to the State of Victoria. 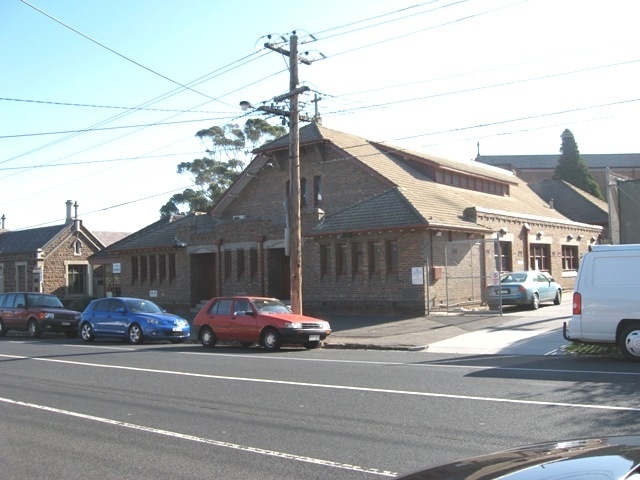 TheSt Andrew's Church of England Precinct, Brighton is of historical significance as an extensive and highly intact church complex which has associations with the early history of the Anglican Church in Victoria. It contains a graveyard, school house, church, parish hall, lych gate and vicarage which are all significant and intact contributory elements from the nineteenth and twentieth centuries. 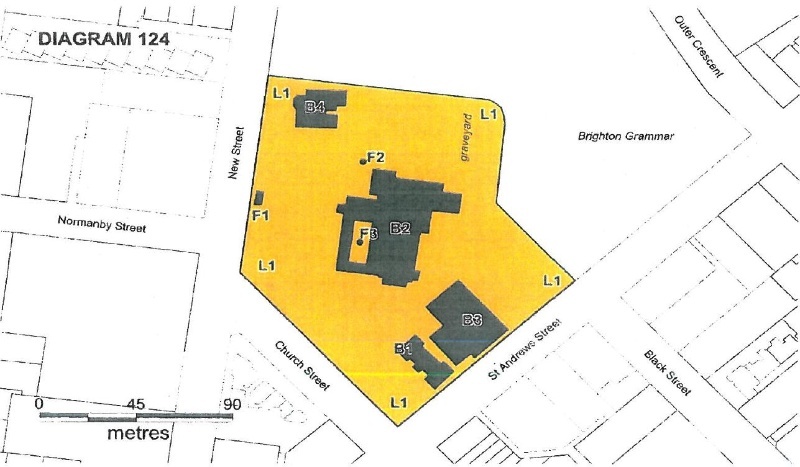 Together they demonstrate the development of a significant Anglican church site, which was destined to be the cathedral centre of the proposed Mornington Diocese if the anticipated division of the Melbourne diocese had occurred. 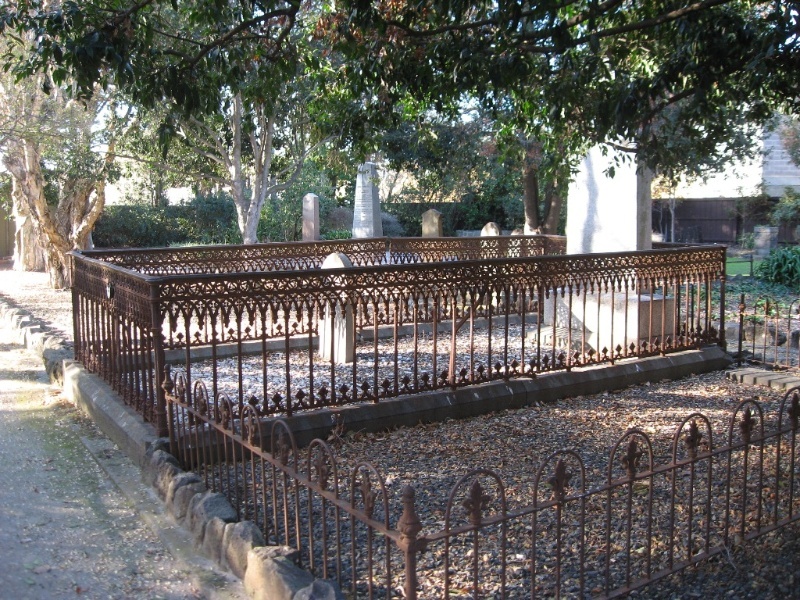 The graveyard at St Andrew's, Church of England, Brighton is of historical significance as an extremely early, pre-gold rush parish church graveyard and as a rare surviving example in suburban Melbourne. Other examples were established later and include Scots Presbyterian Church graveyard, Cambellfield (VHR H0127, 1855) and St Helena Church Cemetery, Greensborough, 1856. The graveyard at St Andrew's, Church of England, Brighton is of historical significance for the tombstones of early Victorian pioneers and prominent citizens, and their families, contained within it. These include Jonathan B. Were, leading merchant and agent and founder of J. B. Were and Son (d. 1885); Henry B. Foot, surveyor and planner of the Brighton township (d. 1857); William A. Brodribb, pastoralist and politician (d. 1886) and Thomas Higinbotham, chief engineer of the Victorian Railways (d.1880). The retention of a wooden memorial headstone (date unknown) is of significance. The school house at St Andrew's, Church of England, Brighton is of historical significance as a rare surviving example of a substantial early denominational school building. The school house at St Andrew's, Church of England, Brighton is of architectural significance as one of the few surviving examples of Charles Webb's distinctive institutional buildings and as a rare example of a building constructed of local ironstone. The church at St Andrew's, Church of England, Brighton is of architectural significance for the section of building which survives from 1857. This is a fine example of the distinctive ecclesiastical work of prolific Melbourne architect, Charles Webb, who was a parishioner of the church and designed such buildings as the Royal Arcade (1869,VHR H0023) and the Windsor Hotel (1884, H0764) and many churches in Victoria. The church at St Andrew's, Church of England, Brighton is of architectural significance for the highly intact section built in 1962 and designed by the parishioner and highly prolific church architect, Louis Williams. 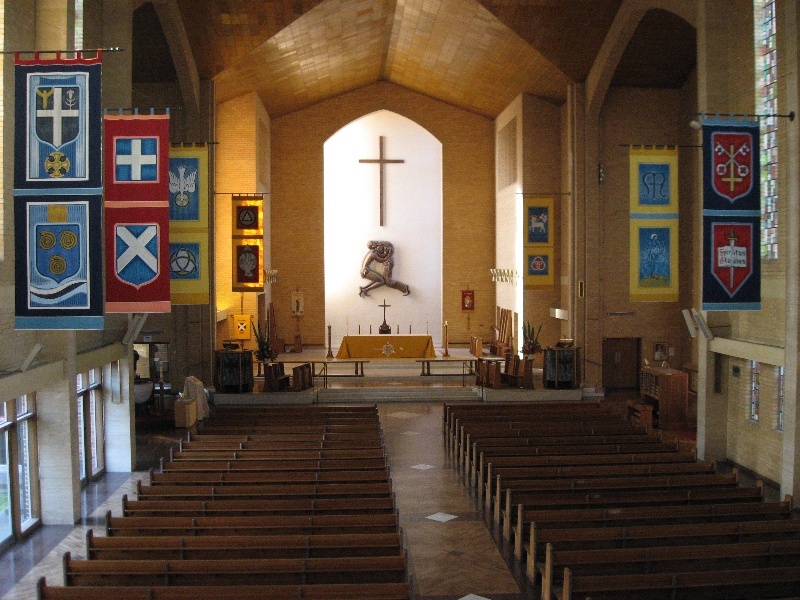 Williams, who was Victoria's, and possibly Australia's, major ecclesiastical architect of the Arts and Crafts tradition from the 1920s to the 1970s, designed more than 130 churches, including cathedrals, for every diocese in Victoria as well as every State of Australia. As one of his later works in which he designed and supervised every aspect of the job, St Andrew's is considered as amongst his greatest achievements. It has significance as an example of a modern/traditional building, which exhibits both the lightness of modern architecture and the clear expression of its purpose as a church. The parish hall at St Andrew's, Church of England, Brighton is of architectural significance as an intact and early example of the work of Louis Williams in an Arts and Crafts manner. It presents a particularly fine interior with exposed brick (painted over then sandblasted) and extraordinarily oversized hammer bean trusses which create a highly distinctive character. 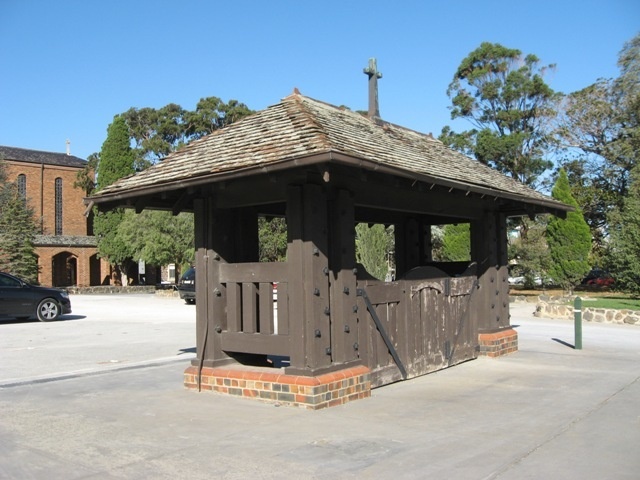 The lych gate is also a fine example of a structure designed in the Arts and Crafts style. The church at St Andrew's, Church of England, Brighton is of aesthetic significance for the furniture and fittings throughout the church which were designed by Louis Williams and manufactured by the established firm of Fallshaw and Sons. This extensive and intact assemblage of meticulously detailed, modern timber church furniture is highly significant. 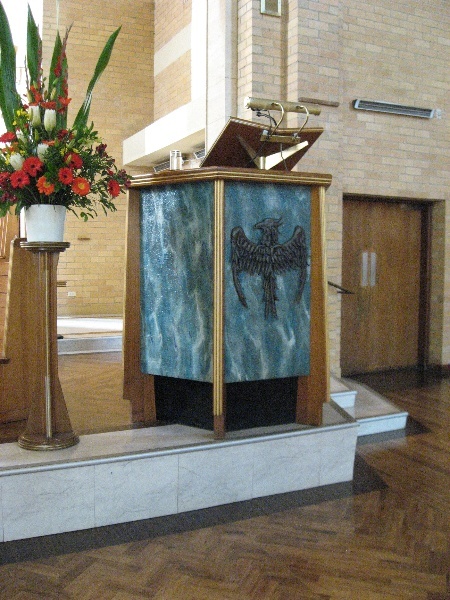 The blue 'polylite' lectern and pulpit panels, aluminium sanctuary uplights, the font, the war memorial organ and echo organ are also of note. The church at St Andrew's, Church of England, Brighton is of aesthetic significance for the mural created by important artist, Napier Waller and the later bronze sculpture by artist, Guy Boyd of the well known Melbourne Boyd family. As Executive Director for the purpose of the Heritage Act 1995, I give notice under section 46 that the Victorian Heritage Register is amended by including the Heritage Register Number 0124 in the category described as Heritage Place and Heritage Object/s. 1. All the land marked L1 on Diagram 124 held by the Executive Director. 2. All the buildings marked B1-4 and features marked F1-3 on Diagram 124 held by the Executive Director. 3. All the objects related to the place as listed in the Inventory of Objects held by the Executive Director. All of the graveyard, dating from the 1840s, including paths, memorial markers and railings and all of the plantings of mature trees on the land. Prolific 19th century architect, Charles Webb was born in England in 1821 and received his architectural training there before immigrating to Australia in 1849. He joined his brother, James, who had settled at Port Phillip in 1839 and established himself as a builder. The brothers formed an architectural partnership on Charles' arrival and designed a number of buildings, many in Brighton, before James departed for England in 1854. Charles then formed a partnership with Thomas Taylor and they practised together for four years. Webb then practised on his own from 1858 until 1888 when two of his sons joined him. He continued to practise until his death in 1898, and he designed many important buildings in Melbourne, including Wesley College in 1864, the Alfred Hospital and the Royal Arcade in 1869, the South Melbourne Town Hall and the Melbourne Orphan Asylum in 1878 and the Grand Hotel (now the Windsor) in 1884. Webb was a founding member of the Victorian Institute of Architects in 1856 and was president in 1882-83. He joined the Brighton Volunteer Rifle Corps in September 1860 and helped to found the Boating Club (now the Royal Brighton Yacht Club) in 1875; he was a member of both the Melbourne Club and the Melbourne Cricket Club. For many years Webb was secretary of the local branch of the Bible Society, which James had helped to found. He was a devout Anglican and for many years was an active member of Brighton's St Andrew's Church. Webb arrived in Australia fully trained and with knowledge of the Gothic Revival in England. He is perhaps the first Victorian architect with a really distinctive style of his own. (Victorian Churches, p21). His knobby, or fussy, picturesque Gothic is neither correct nor Puginian, distinctive but not incorrect. Louis Williams was Victoria's, and possibly Australia's, major ecclesiastical architect of the Arts and Crafts tradition from the 1920s to the 1970s. 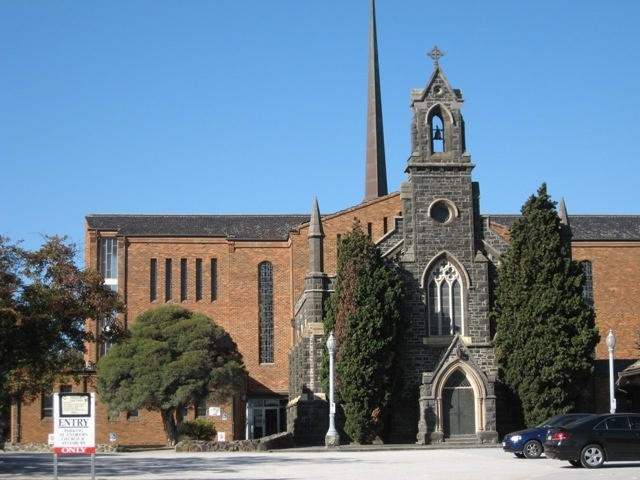 He was probably the most prolific church architect in Victoria in the twentieth century, designing more than 130 churches, mainly Anglican but also Presbyterian, Methodist and Christian Science. 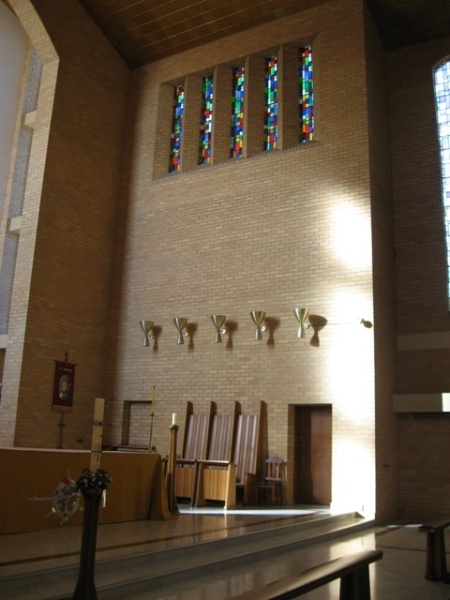 He designed church buildings for Dioceses in South Australia, Western Australia, Queensland, New South Wales and Tasmania and every Diocese in Victoria. Born in Hobart in 1890, Louis Williams initially served articles with Frank Heyward of Richard and Heyward in Hobart. A particular interest in ecclesiastical work led him to complete his articles with Alexander North, the Tasmanian Anglican Diocesan Architect. When North subsequently opened a practice in Melbourne in 1912, Williams was appointed the junior partner. One of their first church projects was Trinity College Chapel at the University of Melbourne, with North undertaking the design and Williams completing much of the detailed drawing. It was completed in 1917. North retired at the end of World War One and Williams continued to practice until 1976. 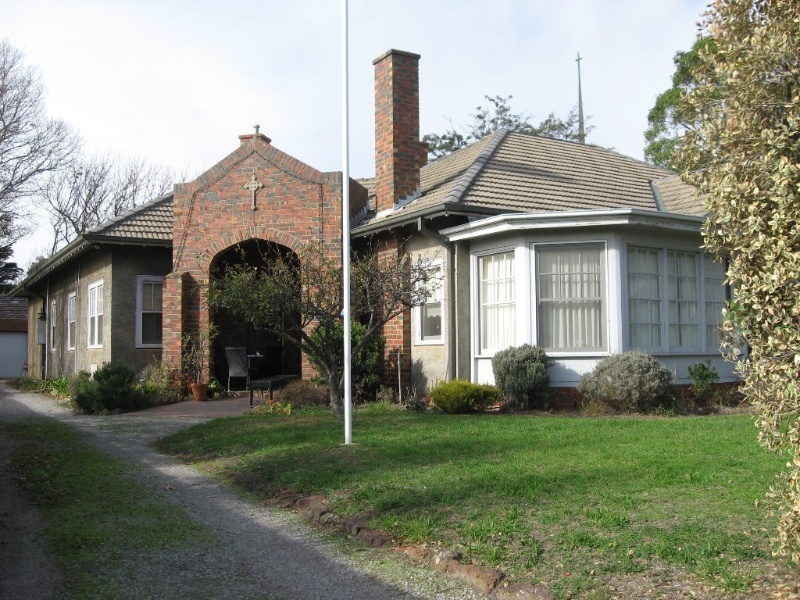 His practice remained in Melbourne until he relocated his office from the city to his Brighton home in c 1941. His interstate work from c 1920, particularly as Diocesan architect for Bathurst and Grafton, required frequent travel. 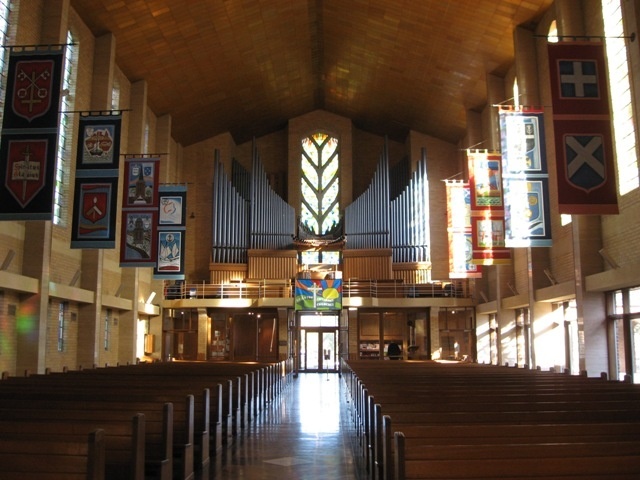 In his church design, Williams strove to find solutions to problems of space, such as cramped sanctuaries and narrow chancels, and problems of lighting, such as glare from the traditional east window. Where possible he advocated such advances as placing the choir at the west end in a gallery or on a platform to create more space at the east end. Where buttresses were required he aligned the wall to the outside; and he angled the east windows, often in vertical strips. He also attempted to introduce square headed windows in his work but often found he had to compromise, using low segmental or part semicircular arches. Williams designed much of the furniture and fittings for his buildings and encouraged the use of local materials and local craftsmen and manufacturers. His on-site instruction was meticulous. The majority of his churches were constructed in brickwork, in a range of colours, textures and specially moulded shapes. He often used red brick, clinker brick and, in many of his later works, cream brick. Native timbers were used for furniture and other detail. The best examples of Williams' later work include St John's, Camberwell (1956-57), St Boniface Cathedral, Bunbury (1961) and St Andrew's Brighton (1962). All of these were large projects of which Williams' commanded tight control. St Andrew's has been viewed as the high point of his later years; a good modern/traditional building which exhibits the lightness of modern architecture. Land in Brighton was first surveyed in 1841 after Henry Dendy selected his special survey there that year. By the late 1840s it had developed into a significant settlement south of the Yarra and it was establishing itself as a desirable location for those of standing in the community. Dendy himself built Brighton Park on his seaside property in c.1842, and this house was subsequently purchased by James Webb in 1848. Many houses, including Charles' residence Chilton, were built in the newly formed Wellington Street, which was formed within Dendy's original property. By 1859 Brighton was declared a municipality and that same year the railway line was opened between this suburb and Melbourne. In the initial survey, Henry Dendy and his partner J. B. Were, set aside ten of the five thousand acres of their Brighton Estate as a Church of England Reserve. The church site was located in a township which included 120 acres of parkland and several fashionable crescents, situated between the outer crescent and choice allotments which ran to the bay. Were, Dendy, Henry Foot (estate surveyor) were among those who resided near the shore. The first Church of England services were held in Dendy's temporary home in 1842. The first building on the church site was an Episcopal Church, erected to the south in late 1842. Used as a church and school, it was isolated from the main site soon after construction by the formation of Church Street through the reserve. This building was eventually lost to the church as this land was not conveyed to William Grant Broughton, Bishop of Australia, in October 1843. In 1843 a two acre graveyard site, established to the north-east of the first building, was consecrated and the first burial took place the following year. Many burials took place, many without tombstones, particularly before the Brighton Cemetery was opened in 1855. The last burial took place in 1948. In 1849 the population of Brighton was 1500, which was surpassed in Victoria only by Melbourne and Geelong. In 1843 seventy-five pupils were enrolled at the newly established Anglican school, which was officially opened as school no. 44 in 1849 by Church of England authorities. A more substantial ironstone church, designed by Charles Laing, was erected to the north of the graveyard in 1850 (site of 1928 vicarage). It seated a congregation of about 250. By 1857 a larger church and school were needed and church committee member Charles Webb, in partnership with Thomas Taylor, was commissioned to design a new bluestone church (on the present church site), school house and vicarage (to the west of the church). The school house used some of the locally quarried ironstone from the previous church which was demolished at this time. St Andrew's school continued to operate until 1875 when students were relocated to a new school in Brighton, established after the State School system was introduced in 1872. The building was then used for Sunday school, meetings and other church activities. Brighton gained strength as a middle class suburb and by 1886 additions were made to the church, and possibly the school house, by architect, Lloyd Tayler. The latter was a new wing to the north of the building for use as a guild room. This may have been added earlier as Charles Webb called tenders for additions to Church of England schools in Brighton in 1866. In 1886 the altar and other furnishings from the demolition of the old chancel were installed in the central space for use by the Sunday school. The vicar William Hancock transformed the life of the parish both physically and spiritually from his arrival in 1918. By 1924 debt had been eliminated, money had been raised for a war memorial organ built by Roberts of Adelaide, and money was being collected for a parish hall, which was subsequently built to the east of the school house, designed by Louis Williams. At this time Brighton Grammar School received in trust five acres of the original ten acres of land granted to the Church of England by Dendy and Were. The school had been established in 1882 by George Henry Crowther (churchwarden at St Andrew's for thirty years who died in 1918) and was located in New Street. A two-storey school building was constructed in 1926 and the school moved to the new site in 1927, thus beginning a very close affiliation between the school and St Andrew's Church. The school used the 'cow paddock' to the north of the church and graveyard, for a sports ground from 1928. The 1856 vicarage was demolished that year and rebuilt further south on the site of the 1850 ironstone church. In 1961 a fire destroyed the 1886 transepts and the chancel of the church, as well as the organ, pews, furnishings, altar and screen. The skeleton of the 1857 bluestone nave remained. Architect and parishioner, Louis Williams was commissioned to construct a new church, incorporating the old nave portion. The new reconstituted church was dedicated in the presence of the Governor of Victoria, Sir Dallas Brooks; Lady Brooks; the Archbishop of Melbourne, Frank Woods; clergy and two thousand people in December 1962. J. M. Freeland. Melbourne Churches, 1836-1851 : an architectural record. Melbourne, 1963. R. Landells. 'Biography of Louis Williams' in Architect May 1976, p 24. St Andrew's school house was built on ten acres of land reserved for church purposes in the Brighton Estate planned by Henry Dendy and J. B. Were in 1841. Constructed in 1857, with later additions, it replaced an earlier building used for school purposes. The first building on the site was an Episcopal Church, erected to the south in 1842. 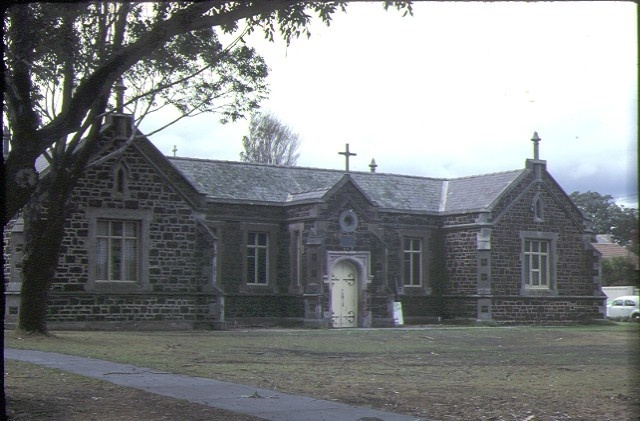 Used as a church and school, it was isolated from the main site soon after construction by the formation of Church Street through the reserve. In 1843 it was recorded that seventy-five pupils were enrolled at the newly established school, which was officially opened as school no. 44 in 1849 by Church of England authorities. A two acre graveyard, established to the north-east of the first building, was consecrated in 1843, and in 1850 a more substantial ironstone church, designed by Charles Laing, was erected to the north of the first church. By 1857 a larger church and school were needed and church committee member Charles Webb, in partnership with Thomas Taylor, was commissioned to design a new church, school house and vicarage. Webb's school house was T-shaped in plan and utilised some of the ironstone from the second church building, which was demolished at this time. An identical wing was added to the building at a later stage to create a symmetrical H-shaped building. In 1866, Webb called tenders for additions to the Church of England schools in Brighton, and this may have been this addition. Suggestions have also been made that this wing was added in 1886 when additions were made to the church. St Andrew's school continued to operate until 1875, when students were relocated to a new school in Brighton, established after the State School system was introduced in 1872. After it was vacated, the school house was used for Sunday school, meetings and other church activities. When additions were made to the church in 1886, the altar and furnishings from the demolition of the chancel were installed in the central space of the school house. This extensive church precinct developed from the 1840s. It consists of a graveyard (1843), school house (1857), church (1857 and 1962), parish hall (1925), lych gate (post 1926) and vicarage (1928). 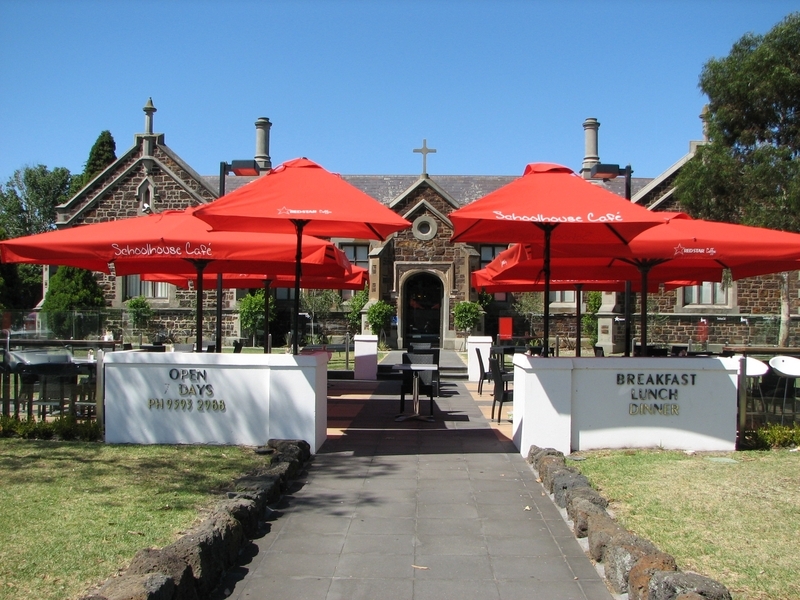 St Andrew's Church precinct is important as an early, extensive and highly intact church complex which has associations with the early history of the Anglican Church in Victoria. It contains a number of contributory elements which demonstrate the development of a large Anglican parish through the nineteenth and twentieth centuries. 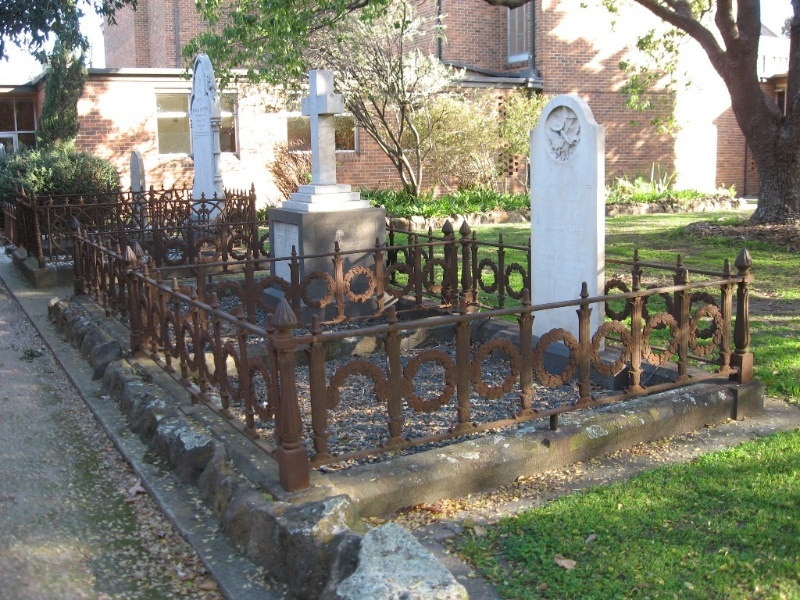 St Andrew's Church graveyard is an extremely early, pre-gold rush parish church graveyard in Victoria, and is a rare surviving example, particularly in suburban Melbourne. St Andrew's Church school house is a rare surviving example of a substantial early denominational school building. St Andrew's Church school house is one of few surviving examples of Charles Webb's distinctive institutional buildings and the surviving church section from 1857 is a fine example of the distinctive ecclesiastical work of this prolific architect. St Andrew's Church of 1962 is a highly intact, extremely large and fine example of a modern/traditional parish church in Victoria. It is considered to be one of prolific church architect Louis Williams' greatest achievements. The parish hall is a fine example of his early Arts and Crafts design work. St Andrew's Church contains a collection of fine modern furniture and fittings, meticulously designed by Louis Williams and manufactured by Fallshaw and Sons. They form an intact and complete group which compliments the modern church building. 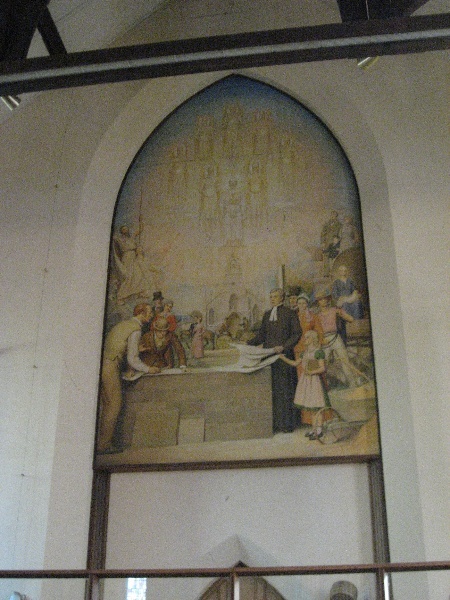 The mural designed and painted by Napier Waller and the bronze sculpture by Guy Boyd at St Andrew's church, are good examples of the work of these significant Victorian artists. St Andrew's graveyard contains a collection of pioneer memorials which are illustrative of the early pioneering history of Victoria. As church parishioners as well as architects of St Andrew's Church, Charles Webb and Louis Williams have important associations with the development of the precinct. * Removal of extraneous items such as air conditioners, pipe work, ducting, wiring, antennae, aerials etc, and making good in a sensitive manner. *Painting of previously painted surfaces provided that preparation or painting does not remove evidence of any original paint or other decorative scheme. *Demolition or removal of non-original stud/partition walls, suspended ceilings or non-original wall linings, bathroom partitions and tiling, sanitary fixtures and fittings, kitchen wall tiling and equipment, lights, built-in cupboards, cubicle partitions and the like. *Removal or replacement of non-original door and window furniture including, hinges, locks, knobsets and sash lifts. *Removal of non-original tiling or concrete slabs in wet areas provided there is no damage to or alteration of original structure or fabric. *Installation, removal or replacement of ducted, hydronic or concealed radiant type heating provided that the installation does not damage existing skirtings and architraves, obscure architectural features and that the central plant is concealed. *Sensitive installation, removal or replacement of electrical wiring. *Removal or replacement of electric clocks, public address systems, detectors, alarms, emergency lights, exit signs, luminaires and the like on plaster surfaces. *Installation of plant within the roof space. *Sensitive installation of new fire hydrant services including sprinklers, fire doors and elements affixed to plaster surfaces. * All interior alterations are permit exempt, excluding structural alterations, provided such work has no effect on the exterior of the buildings. * The process of gardening; mowing, hedge clipping, bedding displays, removal of dead plants, disease and weed control, emergency and safety garden works. * Installation, removal or replacement of garden watering and drainage systems outside the canopy edge of significant trees. * Interments, burials and erection of monuments, re-use of graves, burial of cremated remains, and exhumation of remains in accordance with the Cemeteries and Crematoria Act 2003. * Stabilisation, restoration and repair of monuments. * Emergency and safety works to secure the site and prevent damage and injury to property and the public. The cultural heritage significance of the St Andrew's Church of England precinct in Brighton is principally due to its assemblage of important and intact elements, buildings and structures. Those of individual significance are the graveyard, the school house, the church, the parish hall, the gate post and the lych gate, while the vicarage is important as a contributory building to the overall assemblage. Original fittings and furniture in the church contribute to the significance of the place and their retention is highly encouraged. The relocation or loan of any of the collection items would be subject to permit applications. Any restoration or repairs to the registered items should be carried out by a qualified conservator and only after consultation with Heritage Victoria. The development of a Conservation Management Plan (CMP) for the collection of objects is encouraged. This may assist in the formulation of specific permit exemptions in the future. The purpose of the permit exemptions is to allow works that do not impact on the significance of the place to occur without the need for a permit. Alterations that impact on the significance of the exterior and interior of the church, school house, parish hall, gate post and lych gate are subject to permit applications, but changes may be made to the interior of the vicarage without the need for a permit. Alterations that impact on the significance to the graveyard are also subject to permit applications. Any new buildings on registered land would require a permit. Works, including demolition and internal modification (but not additions) to the buildings not listed in the extent of registration, do not require a permit.